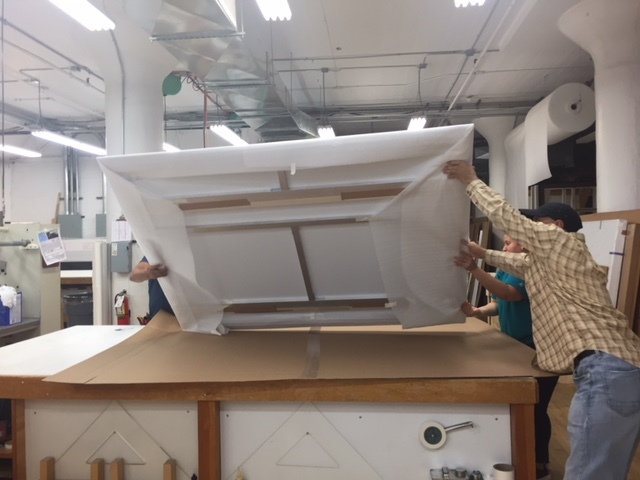 Whether it comes to paintings or prints, moving wall art over a long distance is not that easy, especially if the artwork is large in size. 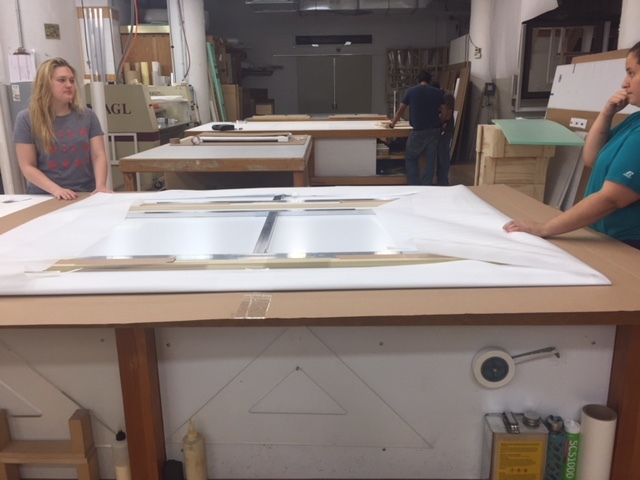 However, it is not a problem if you hire a reliable logistics company specializing in shipping fine art. Besides, it is the only right way to ensure that your precious piece of art arrives at the destination in its pristine condition. 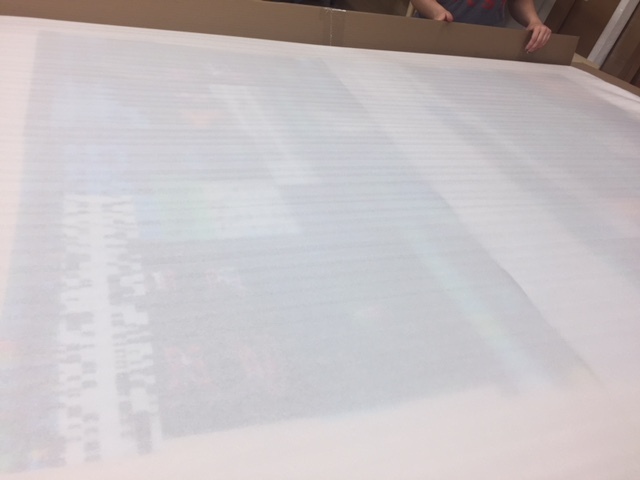 After all, moving wall art to a new location exposes each transported item to many risks. 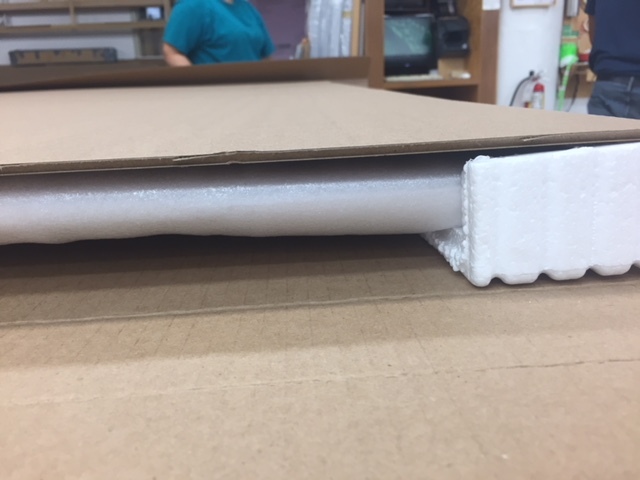 For example, your artwork can be damaged due to improper packing, or it can degrade if exposed to the wrong climates. These are just a few of the reasons why it is so important to entrust the moving process to experienced art shippers. 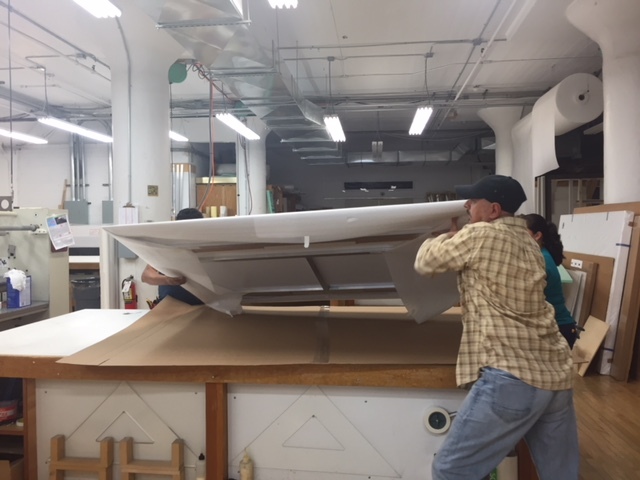 At Fine Art Shippers, we have more than 20 years of experience moving wall art of any kind. 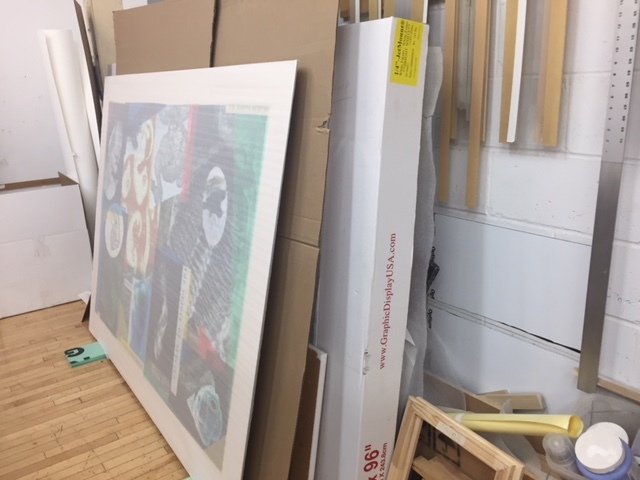 Moreover, while our company is headquartered in New York, we have representative offices and agents all over the world, and we can ship art to and from any destination, using different modes of transport if necessary. 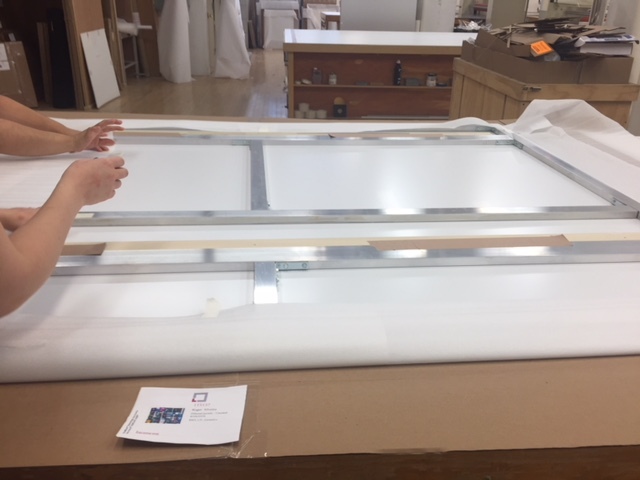 Regardless of where you live, we will deliver your artwork safely, securely, and on time! 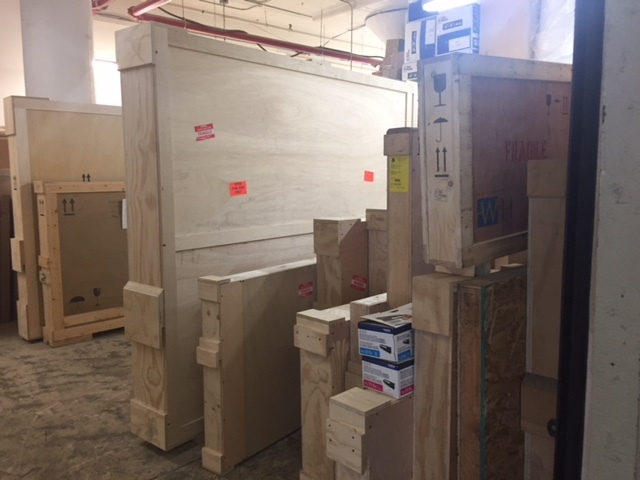 Plus, our art moving services are very reasonably priced, not to mention that we offer free quotes for shipments of any type. 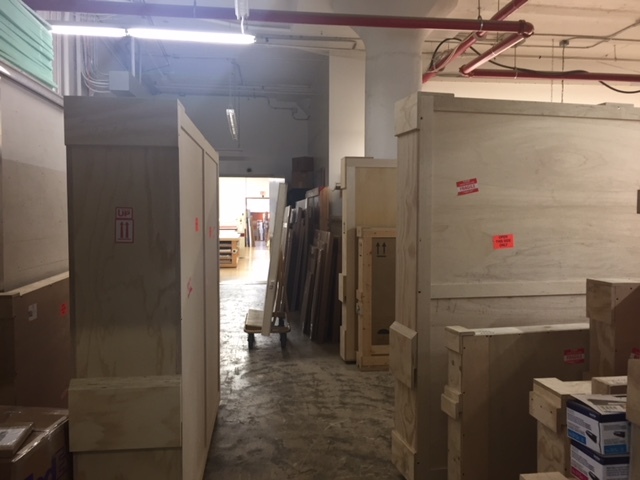 For today, Fine Art Shippers works with many art business professionals, moving wall art, sculptures, and other art pieces for them around the world. 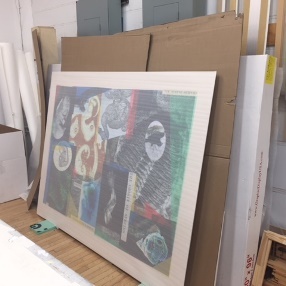 For instance, not so long ago, our team was trusted to ship large and valuable prints made by the renowned fine art printing and scanning company Laumont. 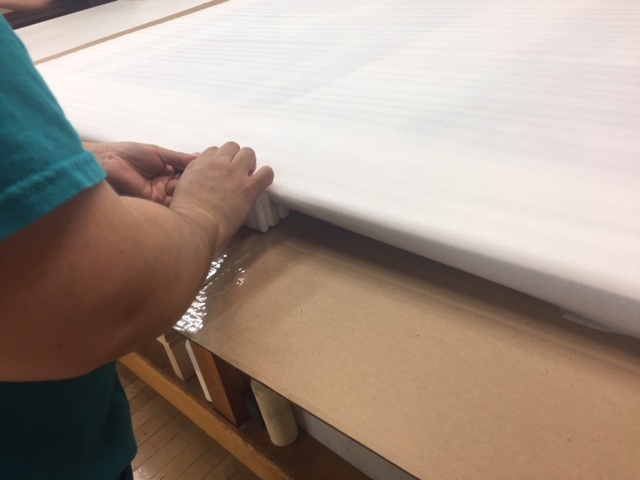 Laumont is definitely one of the best art printing and scanning companies in New York, and we are very proud to work with these totally professional people who create true masterpieces. 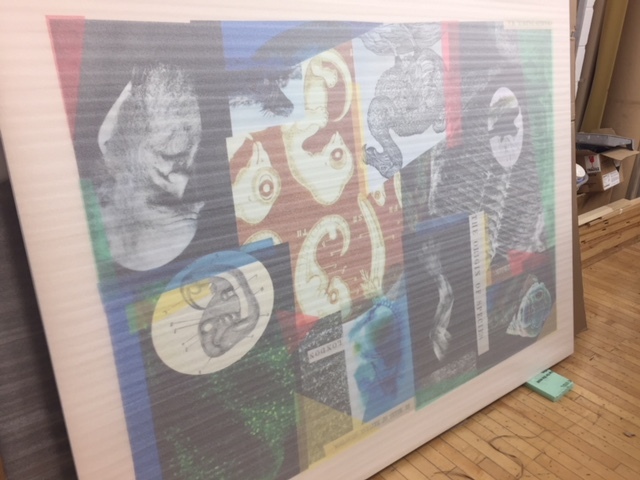 Moving wall art for this innovative company is always an amazing experience and also a great opportunity for us to apply our skills and knowledge while learning something new about contemporary art prints. 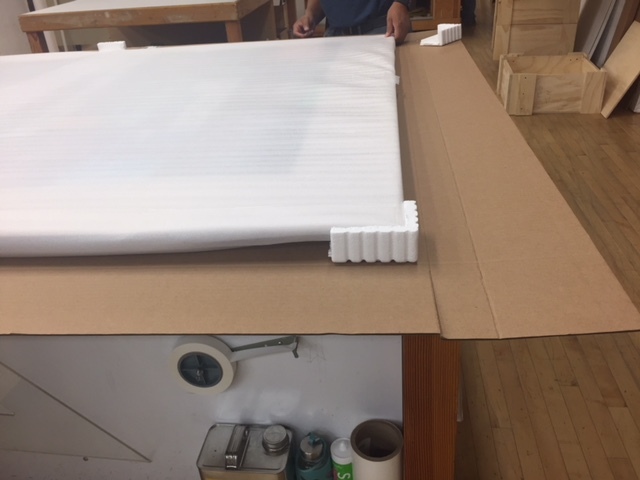 In the photos below, you can see Fine Art Shippers packing and moving wall art for Laumont. Be it a single painting or a highly valuable collection of rare prints, moving wall art is our specialty! Please feel free to contact our team to learn more about our art moving services and discuss your particular needs! We are always here to help!